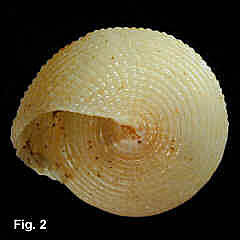 Description: Whorls straight sided, sutures indistinct; sculptured with spiral rows of beads, 4-6 on penultimate whorl and 4-9 on body whorl above the basal margin. Basal margin roundly angled. Base rounded, with 7-10 spiral ribs, usually smooth, occasionally beaded. Interior of outer lip thickened; in mature shells two strong elongate nodules at bottom of aperture and two lirae above, extending into aperture. Columella smooth with weak tooth centrally; umbilicus closed. Colour fawn, often with lower row of beads on each whorl white; columella white. Interior nacreous. Size: Up to 13 mm high, usually less than 8 mm. 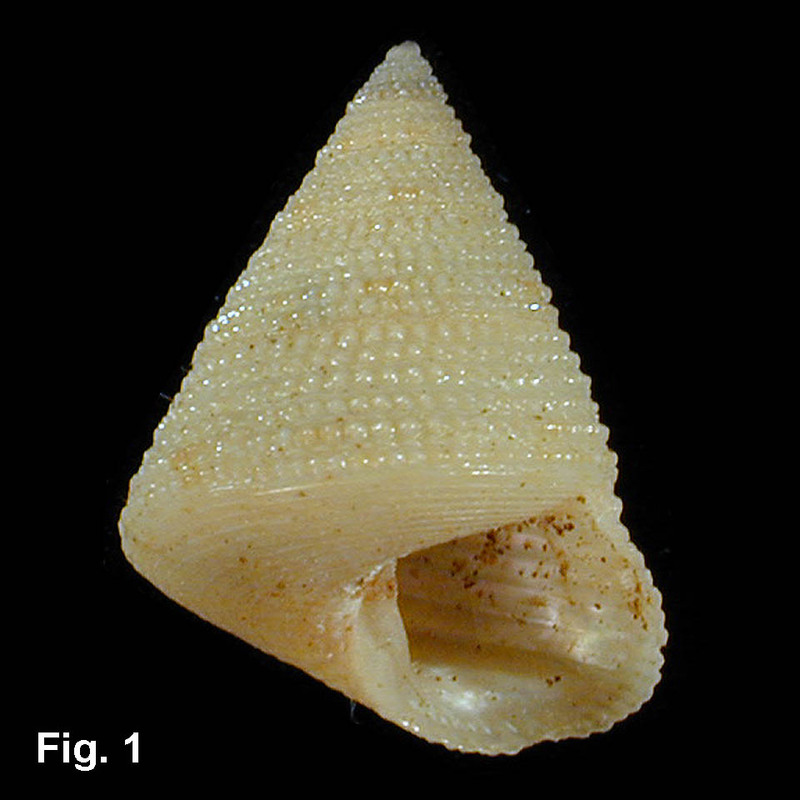 Distribution: Endemic to Australia; Brunswick Heads, NSW, to Western Port, Vic. Habitat: Subtidal, down to 137 m. Mainly known from beach shells. Uncommon.